Noted for it’s outstanding brilliant yellow fall color, the Gingko tree is very tolerant and can withstand some pretty harsh conditions. The one thing that must be considered is soil drainage. The Gingko does not like standing water, it prefers a loamy or somewhat sandy soil. It is okay with short droughts, but NOT flooding. It likes a few hours of bright sunlight each day, too much shade could slow the tree’s growth which can grow to enormous heights. At first it grows very slowly and maybe a little crooked, no worries though, it will straighten out and pick up growth after several years. 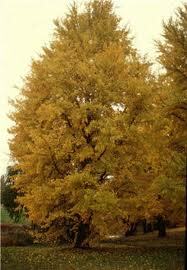 Low maintenance – The Gingko needs minimal basic fertilization, maybe two times per year. A light layer of mulch at the beginning of each season is adequate. It requires very little pruning unless you want to ‘shape’ the branches which is best done in the spring. The Gingko plant is readily available at most garden shops. You should know the female variety is fruit producing and this fruit can have a pungent odor. Removing the fruit immediately after it falls helps minimize this problem. Fall is a good time to plant the Gingko or almost any landscape material so it has time to get established before the heat of summer. Like the landscape installation department at Unique Environmental, your fall seasonal color has probably been in the ground for about a month now. You’re thinking the recent rainfall was good and now the sunshine and average fall temperatures should make your cabbage, pansies, and violas happy right? Wrong! It’s time for a feeding. Take advantage of one of the warmer days when it comes along over the next week and fertilize with Peter’s liquid fertilizer. I recommend liquid over granulated now because it will work faster.